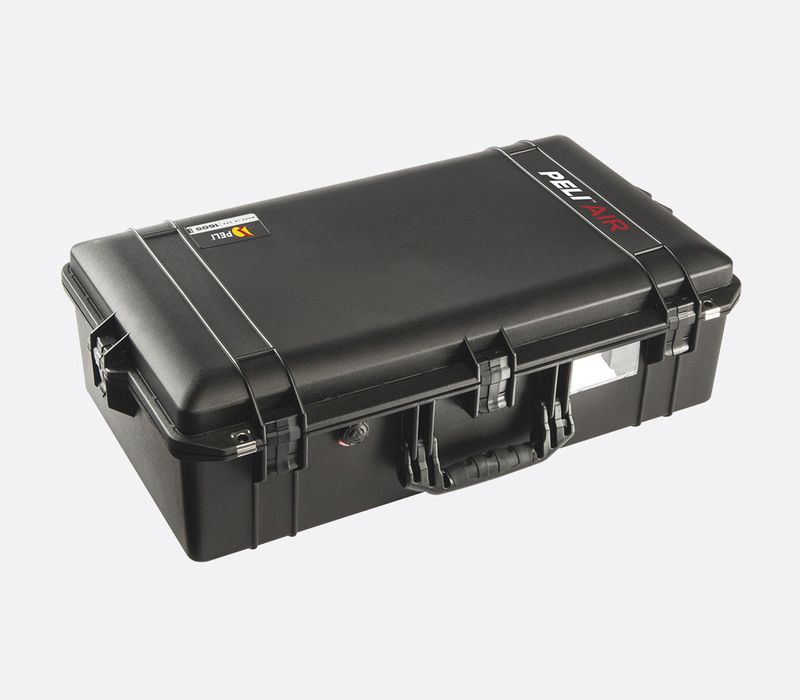 Peli Air cases have been designed to be strong and tough, and have been manufactured from lightweight HPX resin with honeycomb elements that has made them up to 40% lighter than the solid polymer constructed Peli Protector case equivalents. 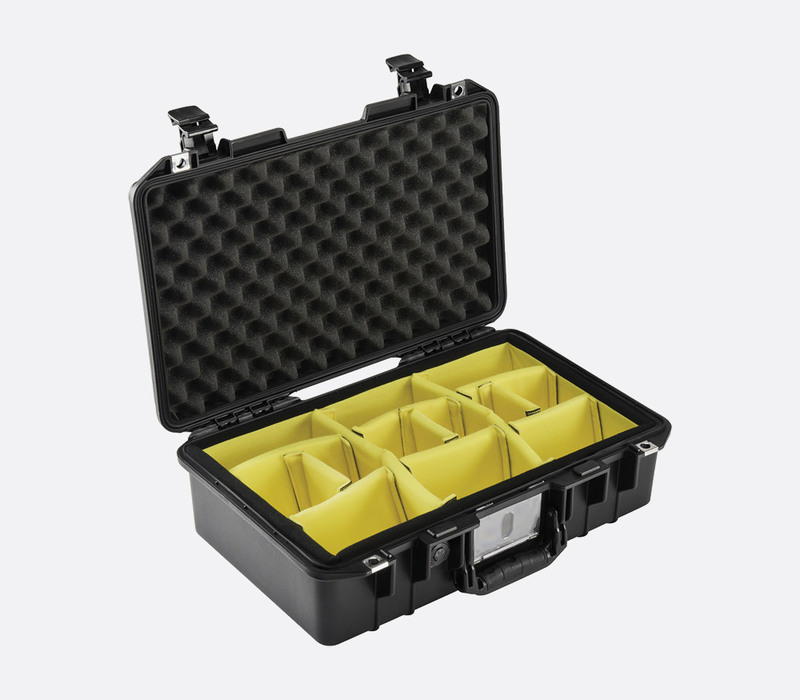 All cases are available with either foam insert, padded dividers, or TrekPak divider system - which enables the user to use a 'fool-proof' cutting tool and steel u-shaped locking-pins to create a bespoke case layout. The incorporated double throw latches are sturdy and secure and a rubber over-moulded handle makes for comfortable transportation. 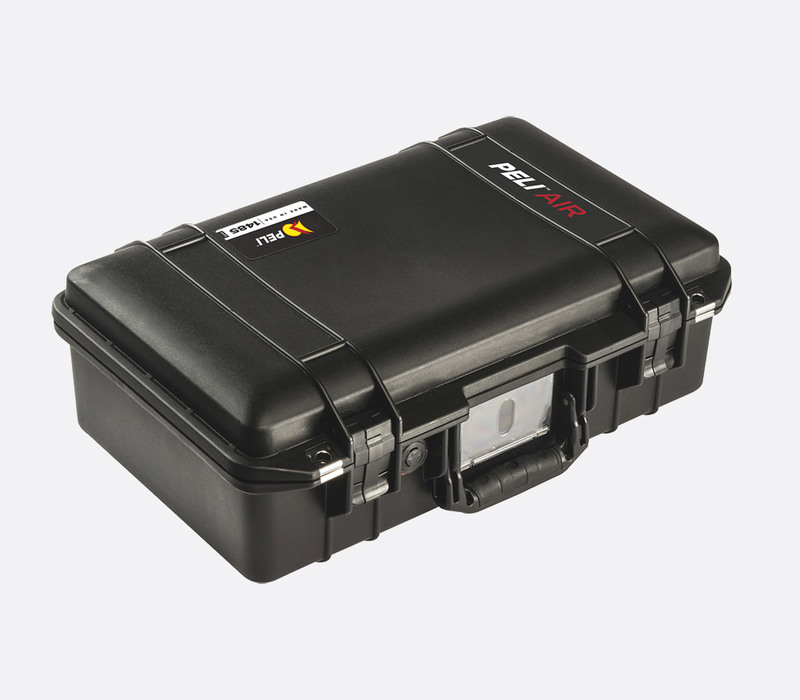 A facility to attach PELI 1506TSA padlocks is easily accessible for added security. 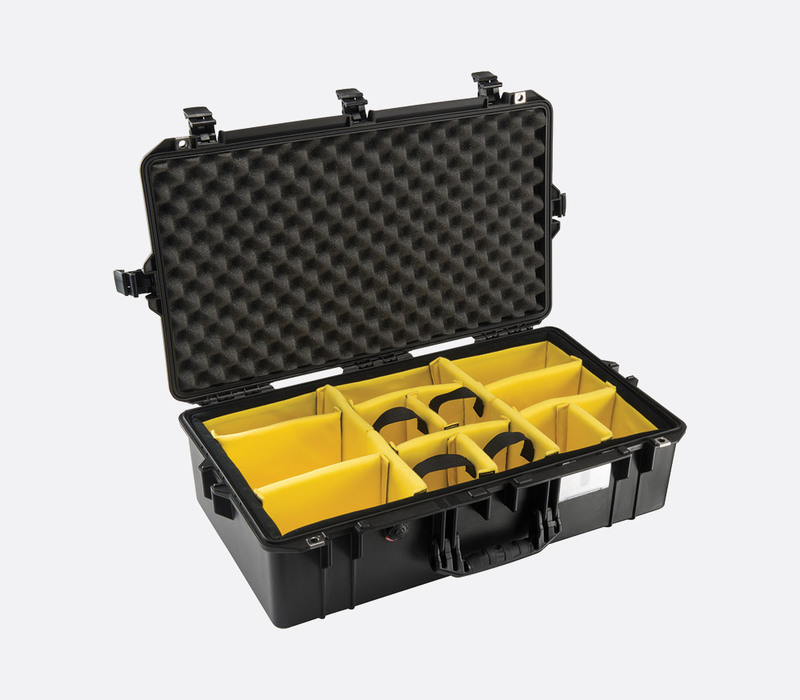 The incorporated O-ring gasket ensures a watertight seal at depths of up to 1m for 30 minutes, and prevents dust ingress (damaged O-rings can easily be replaced). The built-in pressure purge valve allows for quick equalisation after changes in altitude or temperature. 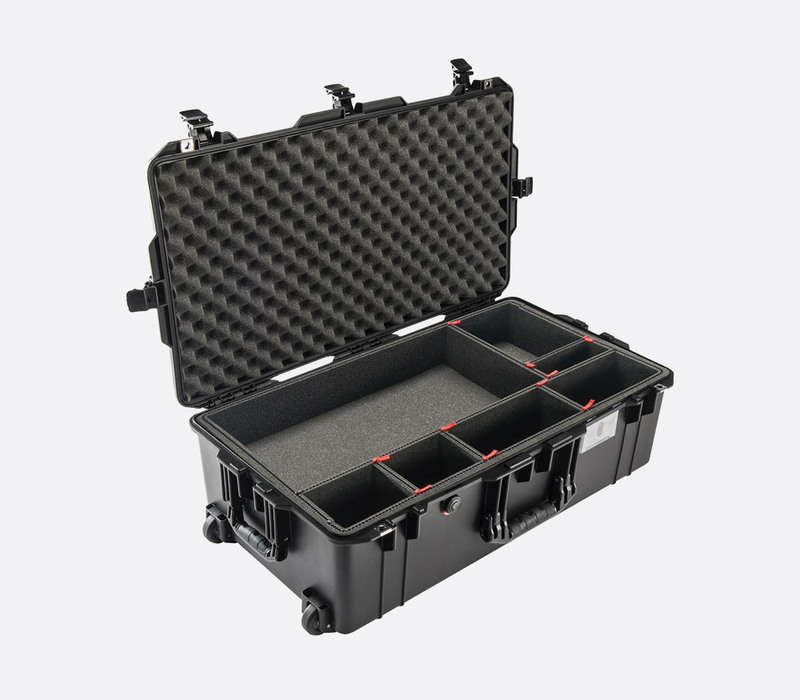 1535 Air case at 558 x 355 x 228mm has been specifically designed for airline use and has been 'optimised' for carry-on and overhead storage use. 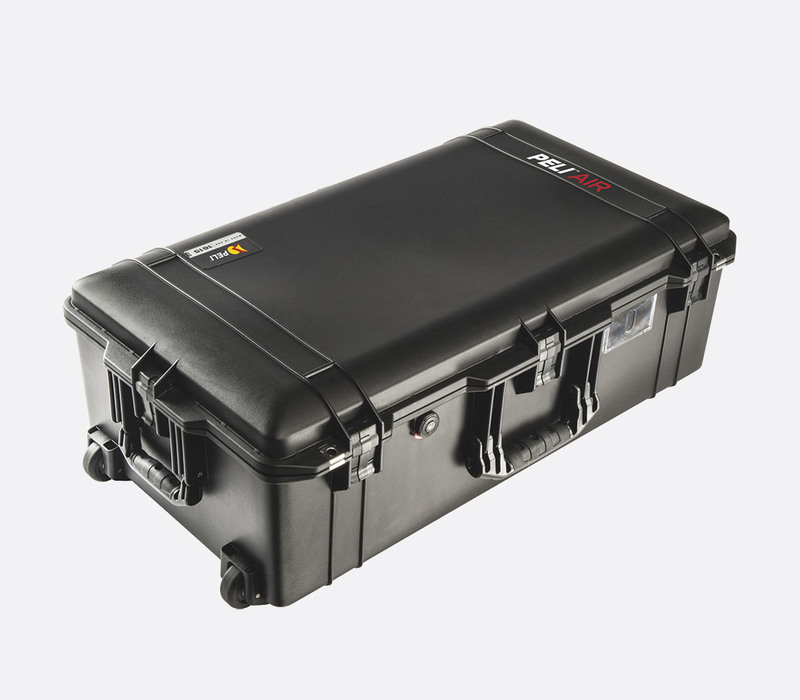 Like the 1535, the 1615 has also been designed to be used to transport equipment on airlines, however this model at 828 x 467 x 280mm has been specifically manufactured to negate any oversize charges with many airlines. Both of these model include two castors and an extendable handle for ergonomic use. 1607 and 1637 Air cases also castors for transportation.